The latest collection Numero 74. 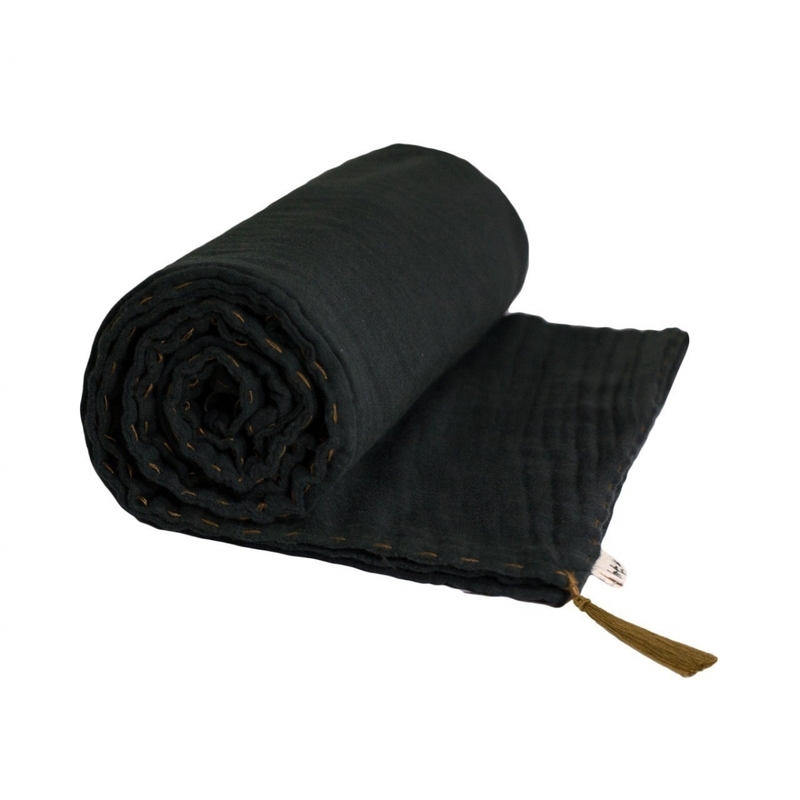 Beautiful, soft blanket in dark grey color. Decorative golden tassel on one of the corners. Decorative stitching on the sides of the blanket.